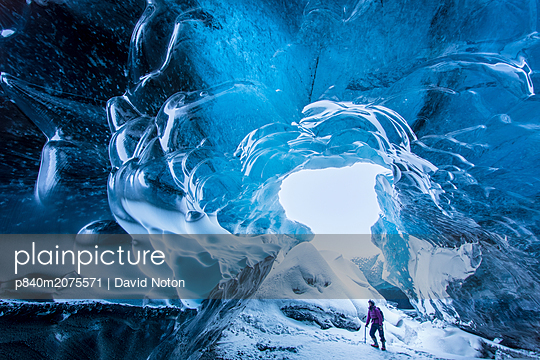 p840m2075571 - RS - Woman walking in an ice cave below the Breidamerkurjokull Glacier, eastern Iceland. February 2015. Model released.